I hate to admit this, but I never thought cauliflower as a very healthy vegetable, because it is white in color. I was so wrong! Cauliflower is a cruciferous vegetable and is in the same family as broccoli, kale and cabbage. It is an excellent source of vitamins C and K, has antioxidant benefits and contains over 9 grams of fiber per 100 calories. After I learned about the health benefits of this white vegetable , I went to my grocery store and bought an organic cauliflower head for only 30 cents more per pound. I thought it would taste great roasted, but to make to even more flavorful, garlic and lemon juice was also added. 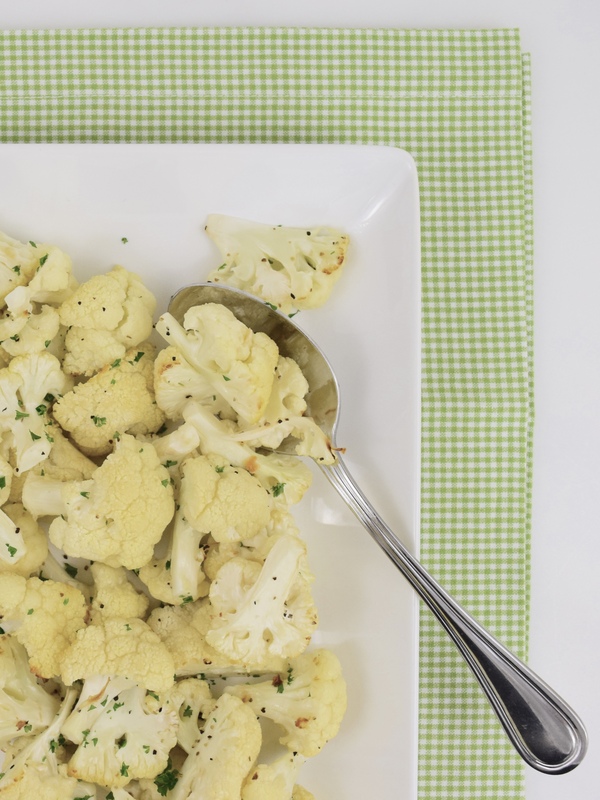 So if you are ever in the mood for some healthy cauliflower, try this simple and easy recipe! 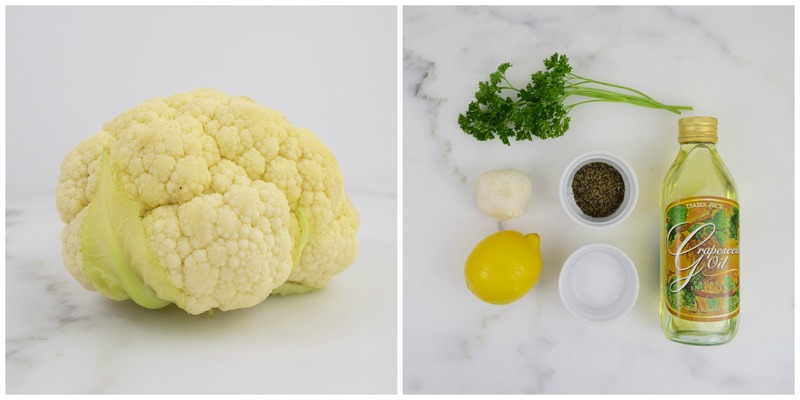 Cut the cauliflower florets into 1½-inch pieces. Place cauliflower in a medium bowl and toss with grapeseed oil. 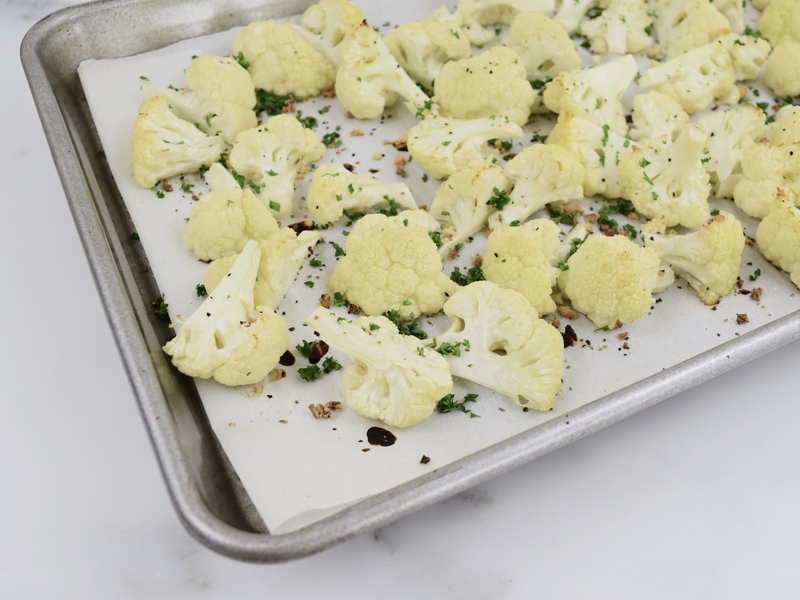 On a parchment lined baking sheet, spread the vegetable. Season with salt and pepper. Sprinkle the garlic. Then drizzle with lemon juice. Roast for 15 minutes, until lightly golden. Finally, sprinkle with chopped parsley and serve immediately. Makes 4 to 6 side servings.